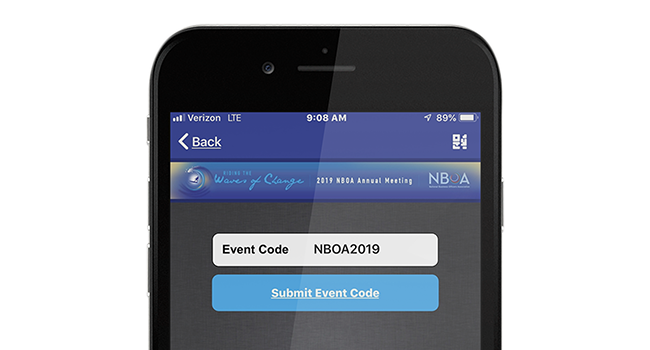 Complete your Annual Meeting experience with the 2019 NBOA Annual Meeting mobile app, updated this year for a more seamless operation. Questions? Email programs@nboa.org or call 202-407-7140. 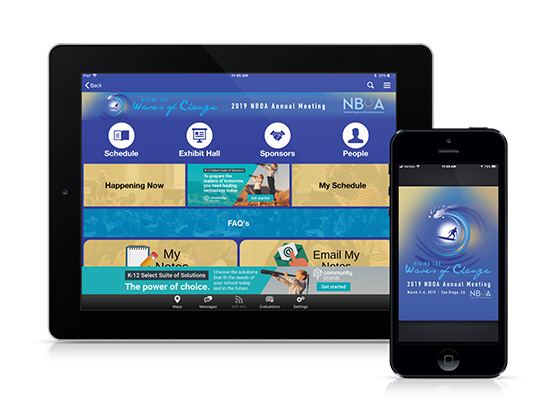 Go to your preferred app store and search for "NBOA Programs" or click here on your mobile device. The app is compatible on iOS (8.0 or later) and Android (4.4.2 or later) and works on both smartphones and tablets. View the app online at http://go.nboa.org/NBOA2019. The web browser version of the app works in Internet Explorer, Chrome, Firefox and Safari. Receive a link via text message to download the app. Text "NBOA" to 38470. Select "Create account" to get started.